1. 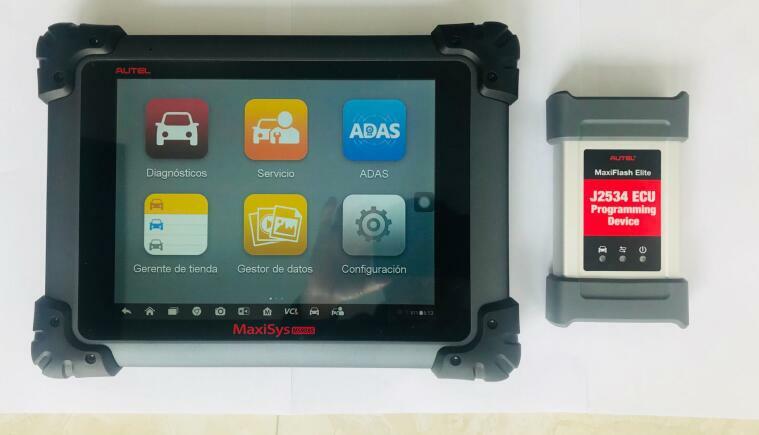 The Maxisys MS908SP is a powerful 10-inch Android-based touchscreen tablet with advanced automotive diagnostics software capable of wirelessly communicating with domestic, Asian and European vehicles, 1996 and newer. 2. The tablet features a 1.3 GHz +17 GHz Hexa-C0re processor with an extraordinary 64 Gigabyte of active memory and operates on Android 4.4.2 KitKat operating system. 3. The MS908SPro provides extended battery life and intelligent power saving so there’s no need to stop working to charge the device. 4. The technician can choose to select a specific module directly or to tap AutoScan to enable the tablet software to scan all the available modules on the vehicle for fault codes. 5. The technician can easily drilldown to the Freeze Frame data to view the status of the selected system just at the moment the code has been tripped. 6. The MS908SP advanced software enables technicians to program keys for domestic and Asian vehicles and also to code and preform adaptations on vehicle modules. 7. The MS908SP supports diagnostics on not simply OBDII (1996 and newer)- domestic, Asian and European vehicles but also vehicles often referred to as SuperCars such as Maserati, Lamborghini, Rolls-Royce and Bugatti. 9. The MS908SP software includes a large suite of useful applications including Shop Manager, a database for customer and vehicle histories, MaxiFix, a user forum for diagnostic and repair tips and proven fixes, and Data Manager for saving vehicle repair history and diagnostics screenshots. 10. The MS908SP includes one year warranty and one year of free software updates ensuring technicians can diagnose the latest vehicles and systems.